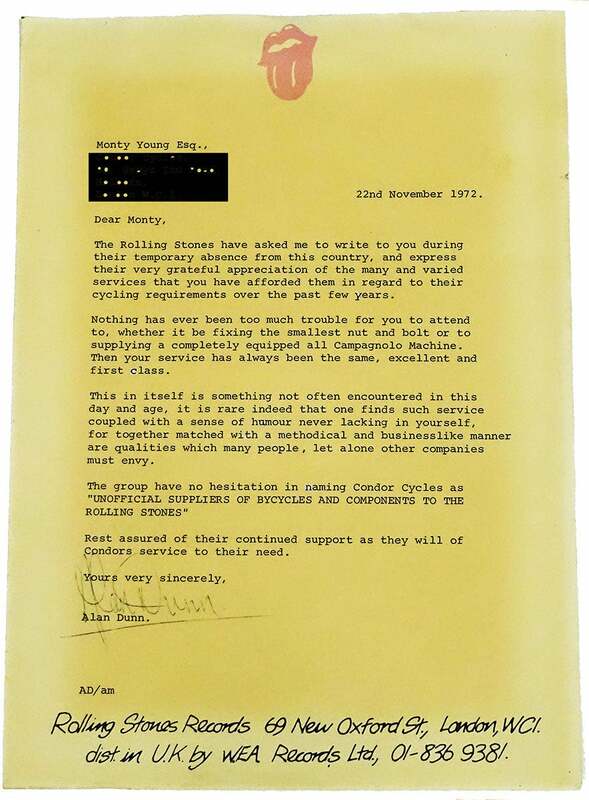 According to Young, Condor also served as the non-official bike sponsor to The Rolling Stones. “Mick [Jagger] has always been a bike fan and we started building bikes for him in the late-’60s or early-’70s. But all of the Stones were keen on cycling. My dad would invite them to the old [London] six-day races and they would all come.” Young insists that even the roguish Keith Richards had a Condor! Doubters beware. Young can easily back up his claims with hand-signed photographs and even a detailed letter of thanks on official red-lipped Rolling Stones letterhead while they were away recording their legendary “Exile On Main St.” album in 1972. 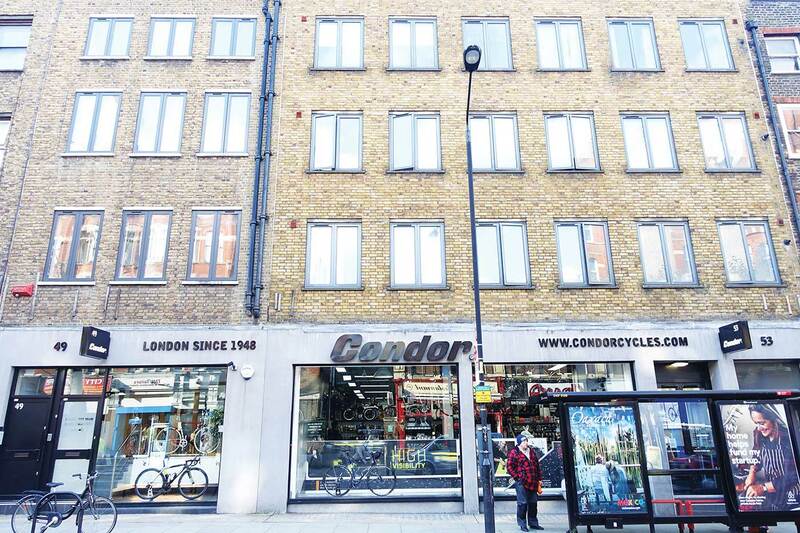 There’s no doubt, when it comes to quality British bikes, Condor has been topping the list for decades. 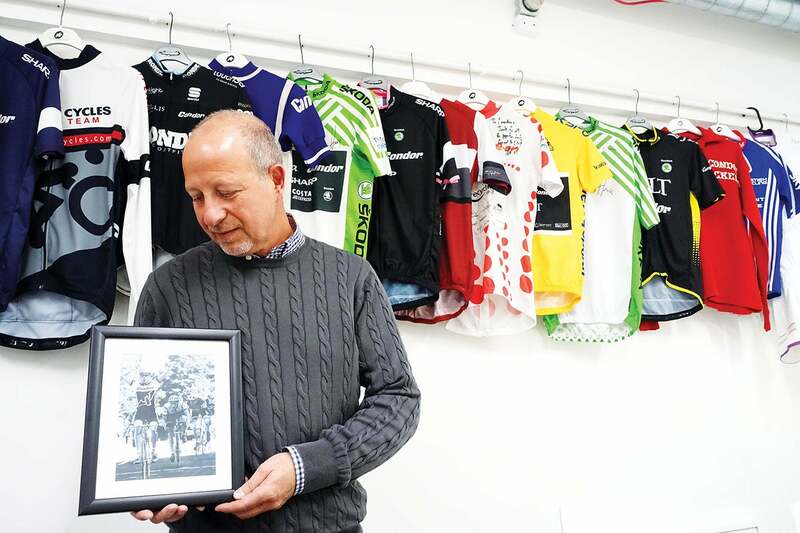 But Young admits there are constant challenges in the British bike industry. Cycling may have boomed in England in recent years, but it remains a niche market. And even an established brand like Condor must continually prove that it’s up to date. 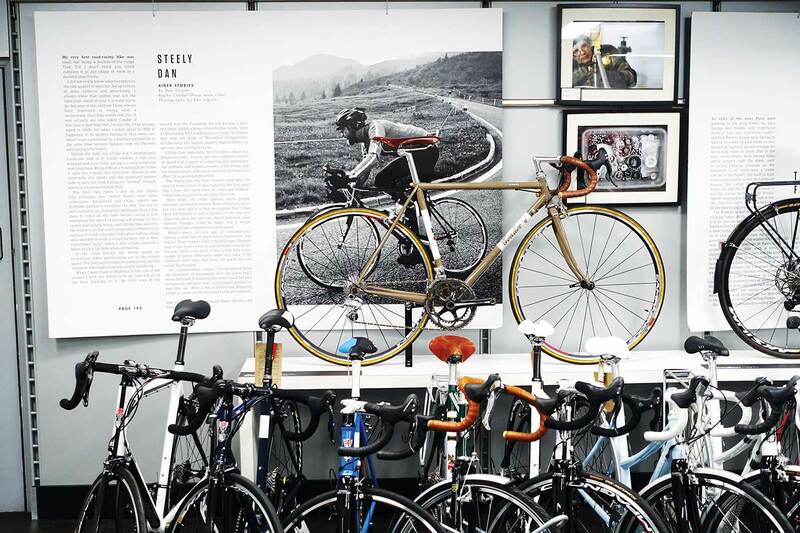 One look inside the Condor boutique shop on Gray’s Inn Road however puts any doubts to rest. From city bikes, to vintage steel road bikes and state-of-the-art carbon, it’s clear that Condor produces a high-end product for every cyclist.